Making this sweet looks simple. It is because we just dump all the ingredients together and cook. It becomes difficult when it comes to the end point. 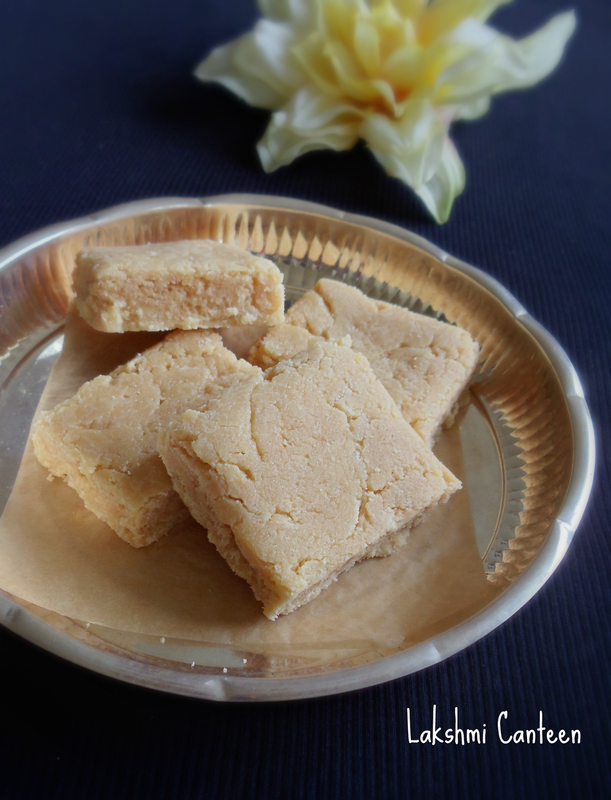 If you miss seeing the ghee separating from the mixture then the mixture gets over cooked and the burfi will not set (In order to avoid overcooking, my husband measured the temperature of the mixture at the end point. Hope it helps). 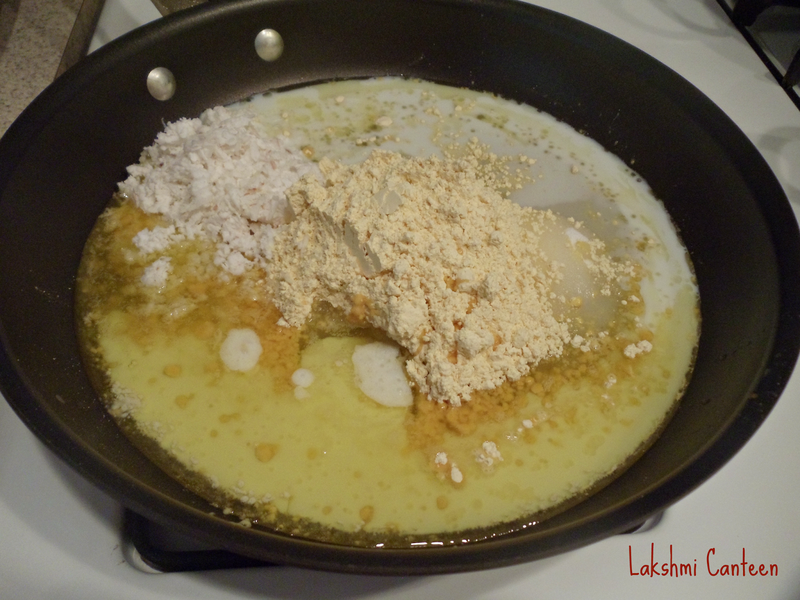 So keep an eye on the mixture after 10 minutes of cooking. I hope you will try making this awesome burfis !! I just halved the above measurement. Take all the ingredients in a large pan (preferably non stick or a heavy bottomed). Start the heat on a medium high flame. 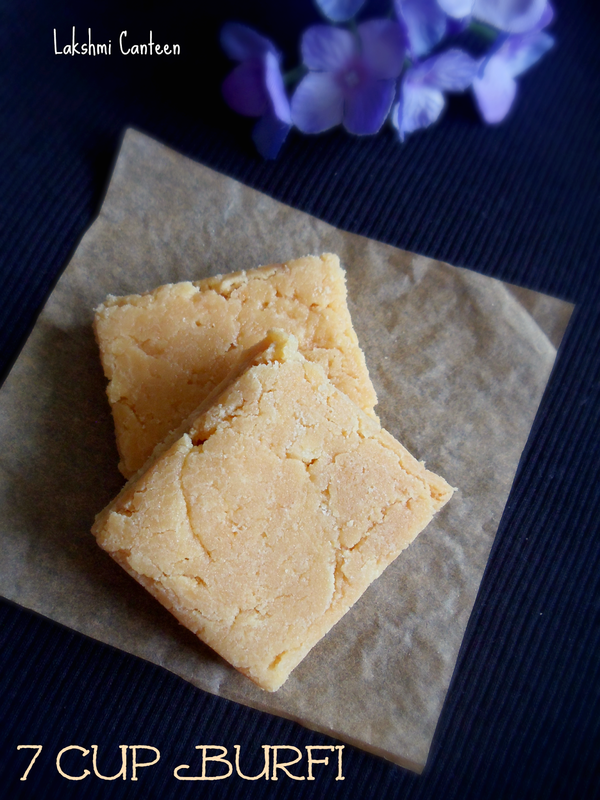 Mix well until all the lumps are gone. Once the mixture comes to a boil, reduce the heat to medium. Keep stirring continuously. 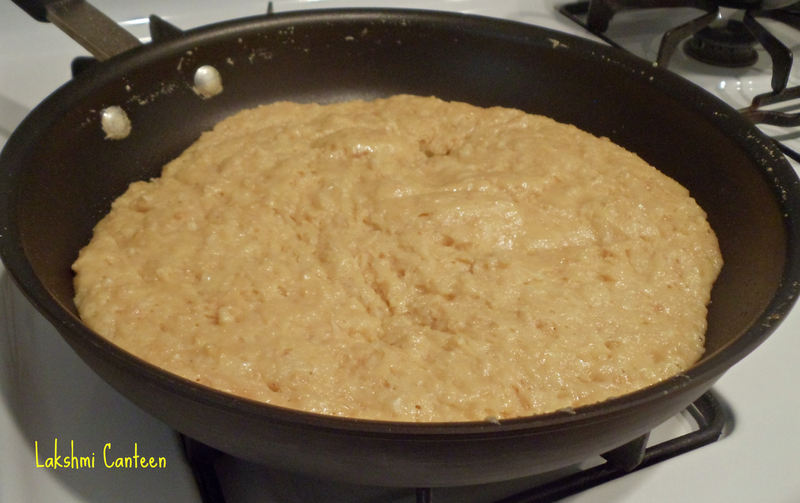 After 15-20 minutes, the mixture becomes thick and slowly the ghee starts separating from the mixture (the color slightly changes to pale brown and the temperature of the mixture is around 180- 190 F). 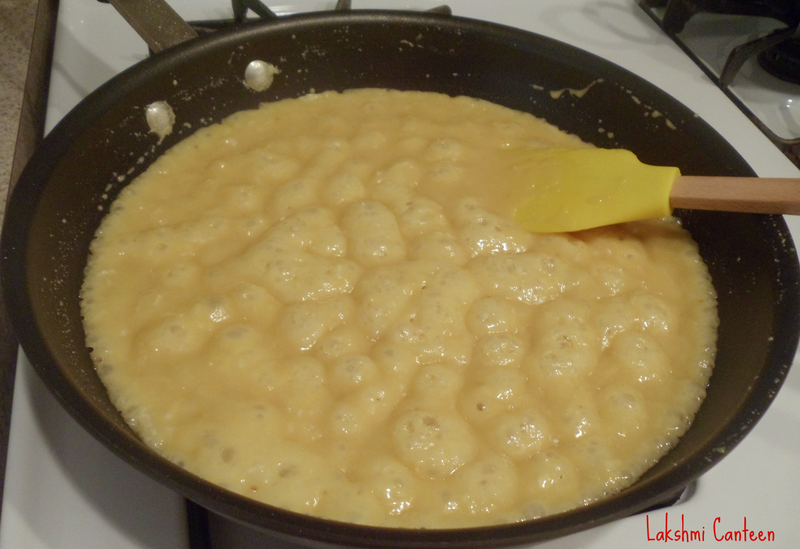 Pour this mixture on a plate and spread evenly. 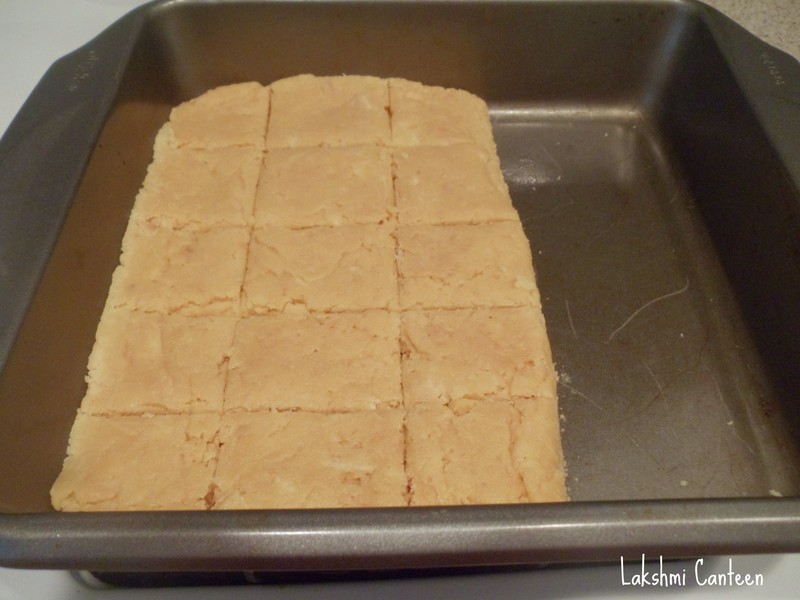 Cut the mixture into square or diamond shape, when still hot. Allow it to cool. 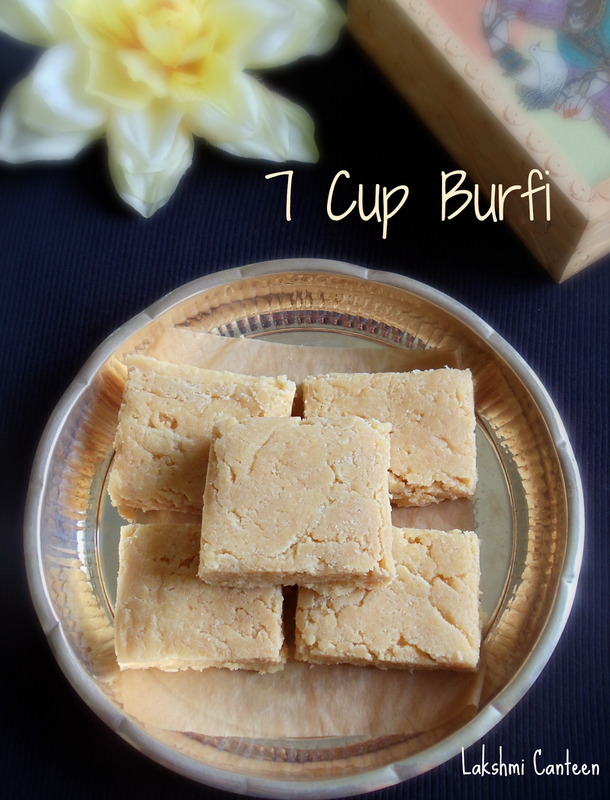 Once it cools, 7 Cup Burfi is ready!! Store it in an air tight container. It stays good for a week. Above measurement makes 15 good sized burfis.